Green House Energy Drink is alcohol free and serves the purpose of an energy-booster and revitalization. The drink contains a combination of caffeine, vitamins and herbal supplements. 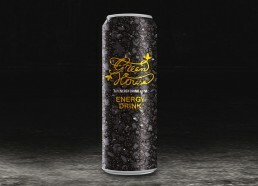 Green House Energy Drink will be internationally launched in the Brazilian market, since the scope of Green House presence in that country only widens. Branding through popular and large scale events are in the pipeline for later this year! Green House Energy Drink is a non-alcoholic beverage that stimulates the metabolism and provides you with energy and instant burst of alertness for the mind and body. Get to know this natural, healthy, energetic drink!